"Alex Rodriguez will cut a deal with MLB." Then, 24 hours later: "Alex Rodriguez will not cut a deal with MLB." This is a mess. Back to that in a second. First, here's how you know baseball's PED scandal is reaching critical mass: the non-sports media is popping in with a misleading, context-free "bombshell." Today's talking point is apparently "Alex Rodriguez could be banned for life." It started with this tweet from the CBS Evening News, which sounded particularly ominous. But the actual report on last night's broadcast tells us—well, pretty much nothing. Here's what turned out to be the precise wording of the claim, from a team executive. "They have an overwhelming amount of evidence on this guy showing multiple years of usage," the executive said. "He's met with Major League Baseball. He's seen the evidence. He is staring down a penalty much, much harsher than Braun's. It could be years... or even a lifetime suspension." So to be straight, a team executive—who probably knows less about the progress of MLB's centralized PED investigation than, say, T.J. Quinn—muses that given the strength of baseball's case, Rodriguez could face a suspension longer than Ryan Braun's. Anywhere from 66 games to infinity games. This is news only if you don't follow baseball—which, to be fair, CBS's audience may not—and to tease the lifetime ban concept as a revelation is a little disingenuous. It's tempting to discard nearly every piece of news on Rodriguez, since after all, we had no idea Braun was going to be the first player disciplined, or that he would cut a deal, until it actually happened. With the looming PED suspensions, both the players and MLB stand to gain from floating information to the media and thereby the public—even if that information isn't strictly true. To readers trying to parse unattributed leaks: pay close attention to what identification is given for that source, and ask yourself how that leak would benefit that source's interests. Need some more headspinning? 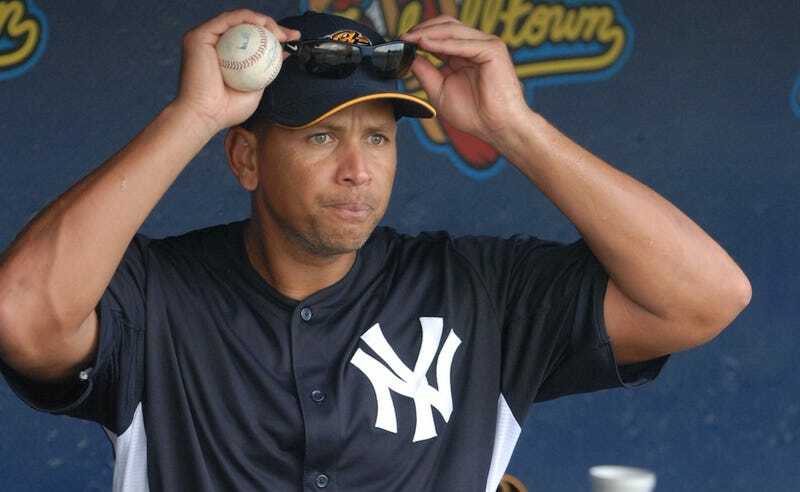 Last night, Bob Nightengale of USA Today reported that Alex Rodriguez has no intentions of making a deal. The night before, Wallace Matthews of ESPN had reported that Alex Rodriguez is seeking to make a deal. Whatever the outcome, there's no doubt MLB wants to crush Rodriguez. Unlike Braun, he's never tested positive for PEDs, though he's been linked to them for a decade. But the real vendetta is because A-Rod supposedly interfered with MLB's investigation—Rodriguez reportedly paid a Biogenesis employee to obtain incriminating documents. It's worth noting that MLB's conduct has been just as unethical. After Biogenesis founder Tony Bosch reportedly tried to blackmail Rodriguez into funding his defense, and Rodriguez declined, Bosch took what he had and gave it to MLB—in exchange for protection from future legal action.